Deval Kamdar is the CEO at DB Healthcare. 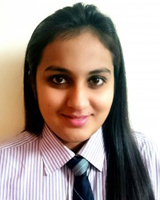 She is responsible for the company's operations, strategic decisions and financials. Prior to DB Healthcare, Deval was integral part of two major companies in Information technology services and international manufacturing organization. Deval holds B.S. in Psychology from Gujarat University. Outside of work, she likes to socialize with friends, traveling, and community service. Rakesh Kamdar, a serial entrepreneur, co-founded DB Healthcare in 2002 with a focus on healthcare consulting and staffing services. He is responsible for the vision, execution and growth of DB Healthcare in healthcare information technology services and life sciences staffing for commercial and government healthcare organizations. Prior to DB Healthcare, he founded information technology staffing and on-line exchange community business. He holds B.S. in Electronics and Communications Engineering from Gujarat University, M.S. in Computer Engineering from New Jersey Institute of Technology and almost completed his M.S. in Health Information Technology from Northeastern University. Outside of work, Rakesh enjoys reading, writing, traveling, community work and spending time with his family. 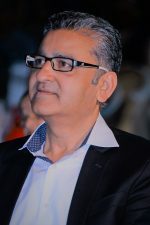 Rakesh is also an author of a unique book (on Amazon.com) – Karma Portfolio. Karen Dell’Anno is dedicated to her clients. She has the talent, knowledge and is passionate about delivering the viable solutions that bring value to her customers. 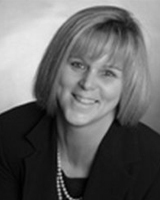 Karen is proven sales professional with over 10 years of experience in the healthcare industry. Her energetic personality is what helps her in building long-term consultative customer relationships. She holds a degree in business from Salem State College. Outside of work, Karen enjoys staying active, cooking and spending time with her family and friends. She is a mom of two very active children, one on a swim team and her little one gearing up for hockey in the fall. 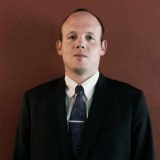 Pierce comes from a niche recruiting background and takes a unique approach to sales and business development. 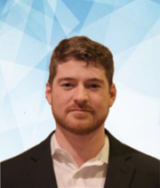 With a background in full life cycle recruitment, account management, and sales, he says his greatest skill is his ability to connect with and identify with just about anyone. He finds genuine interest in people, who gives him the energy and inspiration. He attributes much of his success to the various mentors he has had, as well as continuing to learn and improve in both his professional and personal life. Pierce holds two Bachelor’s degrees in Psychology and Film & Media Studies from The University of Kansas. His areas of focus were clinical neuroscience, personality, and the psychology of creativity. Outside of work, Pierce enjoys travel, the Rocky Mountains, audio books, exercise, and spending time with his family and friends. He is originally from Dallas, TX. Tanu has worn many hats – few to name would be that of an educator, a teacher trainer, a social worker, an orator, a dancer and a creative artist, by virtue of which, her ultimate forte’ has been ‘people skills’. 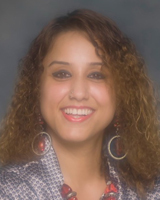 Tanu holds degrees in English, Education and Dance. Integrity, sincerity, dynamism and passion for work are the ethical beliefs that she takes pride in. 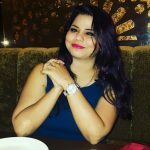 She not only strives to “connect” and “create opportunities” for her candidates but also aim at nurturing long term consultant-recruiter relationships, wherein, each would be looking out for the other, always. Tanu’s only daughter is the apple of her eyes! Dancing to almost any beat, singing, writing poetry, dressing up her little girl, shopping until she drops, watching movies, and indulging in warm chocolate chip cookies to break the monotony of ‘health foods’ consumption, are “a few of her favorite things”. 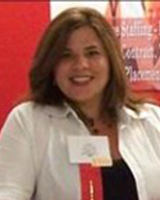 Trisha brings over 15 years of experience in Recruiting, Human Resources and Operations. She is extremely passionate about her work and her ability to find the right person for the job. She attributes her success to always asking questions and looking beyond what is presented to her. When she hears excitement in the voices of potential candidates, it brings a smile to her face. Trisha holds an Associates degree in Business Administration. Her hobbies include cooking, traveling and spending time with friends. The most important thing of all is her family and spending as much time with them as possible. Brendon comes from diverse recruiting background and has helped fill positions from Housekeepers to Directors of IT. He especially loves finding the those hard to place needle in the haystack candidates, because he loves the challenge it presents and the opportunity it gives him to think outside of the box. He is a life longer learner that passionately enjoys studying new emerging trends and technologies in a variety of business sectors in order to better help clients with their staffing needs. Brendon double majored in marketing and business management, as well as minored in economics. When he is not recruiting, he is actively reading, studying, and listening to audiobooks in order to be constantly improving himself and others around him. Anna is a seasoned recruiting and administrative professional with eight years of experience. 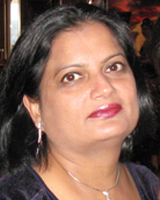 She has worked with several clients in the IT, Pharmaceutical, Accounting and Finance and Healthcare IT industries. She is skilled in candidate on boarding, HR and administrative support. She is well-versed in the search process, including candidate mapping, screening, resume formatting and interviewing. She is results-oriented, as well as efficient in ensuring the successful completion of every task assigned to her. 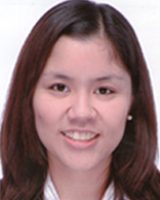 Anna holds a Bachelor’s degree in Psychology and Education. Aside from work, Anna enjoys spending time with her family and friends, reading books and travelling. Jenny is an experienced Human Resources professional with strong background in all aspects of the recruitment cycle. She is dedicated and passionate about her work and always welcomes new things, which will enhance her skills and abilities. Three “Rights” contribute towards success in her career- “Recruit the right person at the right time, for the right job”. Jenny holds a Bachelor’s degree in computer science. Her hobbies include singing, cooking and dancing. And last but not the least, she considers love of her family to be a blessing for her.